FROM NORTH AND EAST: Take RT-24 to RT-114. After about 1.7 miles take right onto Stringham Road (opposite Dunkin Donuts) and follow road down hill. At the foot of the hill, make sharp left onto Burma Road (a.k.a Defense Highway) and follow 1.5 miles to RV Park on the right (there is a marquee sign board that says Carr Point). -- FROM SOUTH AND WEST: Take I-95 to RT-138 East, over Jamestown and Newport Bridges (toll on Newport Bridge). Follow signs to Fall River/Cape Cod. Coming off the exit, (Newport Grand will be right in front of you) bear right just before stop light and go to rotary. Take right at rotary (drive pass Wal-mart shopping center) and follow the road to the end. Take left at stop light onto RT-114 north to third stoplight and left onto Access Road (Mariott Courtyard on corner). Follow the road through two stop lights, for about 4 miles. 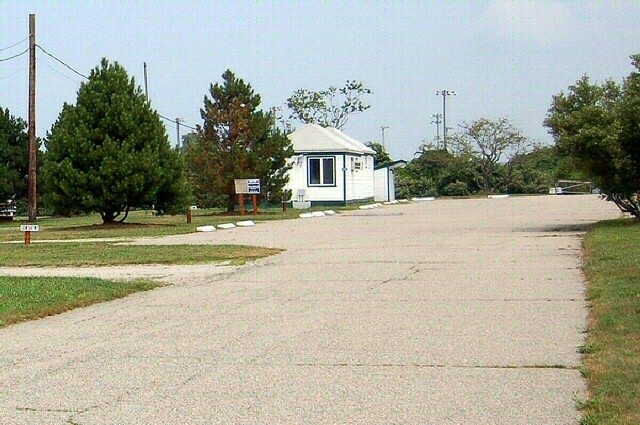 Carr Point RV Park on left (there is a marquee sign board that says Carr Point). Accepted the first business day after Apr 10. Reservation office is only open only Wednesday through Friday, 1000-1800. Must use local Civilian General Delivery. Higher rates are for DoD civilians. Water view and partial water view sites. 2 week maximum stay, with 1 week out before return. 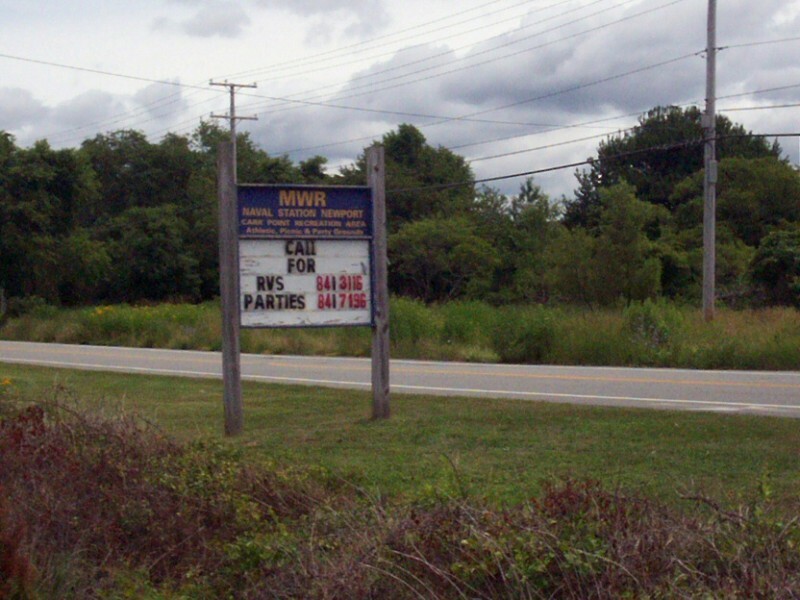 A couple of notes: The reservation number on their brochure is 401-841-3283. The info number produces nothing of value. The hours show 0900-1800 but these are not correct. The hours are 1200-1700. Although the phone rings in the Marina office that is open until 1/2 hour prior to sunset. 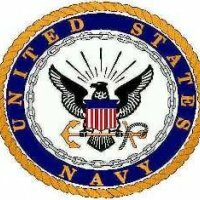 See https://www.navymwrnewport.com/programs/28fabad3-c7f9-4bc1-bdca-467c94a79096 I have called multiple times, left message but no call back. The office , as the showers and laundry, is in the marina next to Gate 1. All of the sites slope toward the bay but flatten at the end. Site 6 is really sloped. Suggest the motorhomes pull straight in to face the water. This means that your water/elec will pass under your coach. 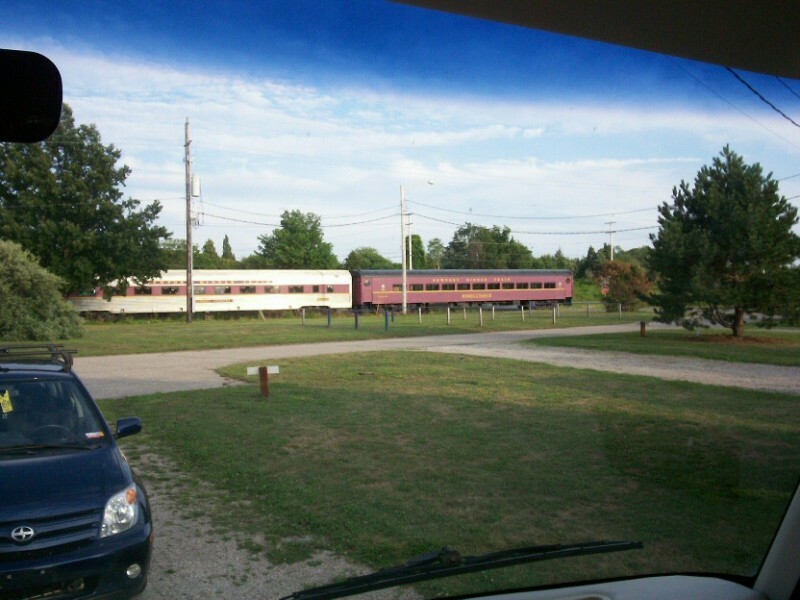 Great view and spacious sites for $20 a night! Cons: no sewer hook ups and the water coming out of tap is rust colored, we used our full water tanks for drinking plus filtered through a Berkey filter system. 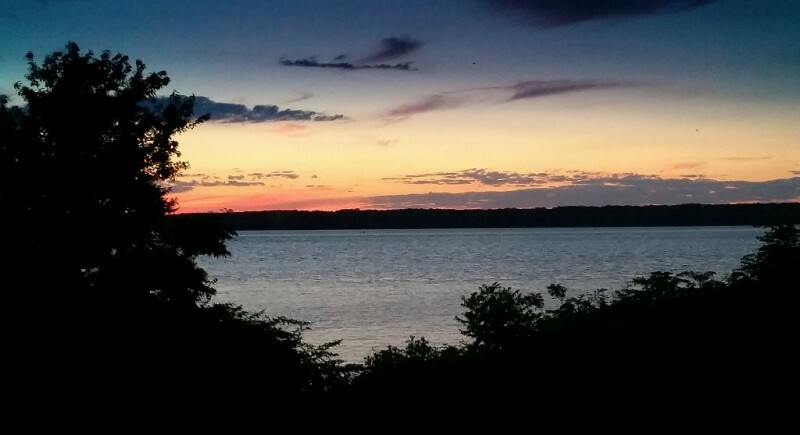 Pros: great location to see sites of Rhode Island, beaches ( recommend 2nd beach) and seafood! Set GPS to take you to Walmart in Newport or you may get sent onto ridiculous small streets that are a nightmare to maneuver with a trailer or 5th wheel! We attempted to stay in May 2018. We called numerous times prior to our arrival no one ever answered we left messages no one ever returned a call. But we kept going. On arrival there was no one around, called again finally someone answered. We were told they don't open until May 22. When asked if we could dry camp again told they were not open. When asked why no one returned calls we got no response. We have stayed at many military camp sites always treated very respectful and courteous not here. This is to bad we will not be back and remember one ah s..t whips out 100 at-a-boys. It is not far to bases on the cape or Hanscom. Little has changed from last year, except for 2 items. One is just an awareness issue and the other is an inconvenience. 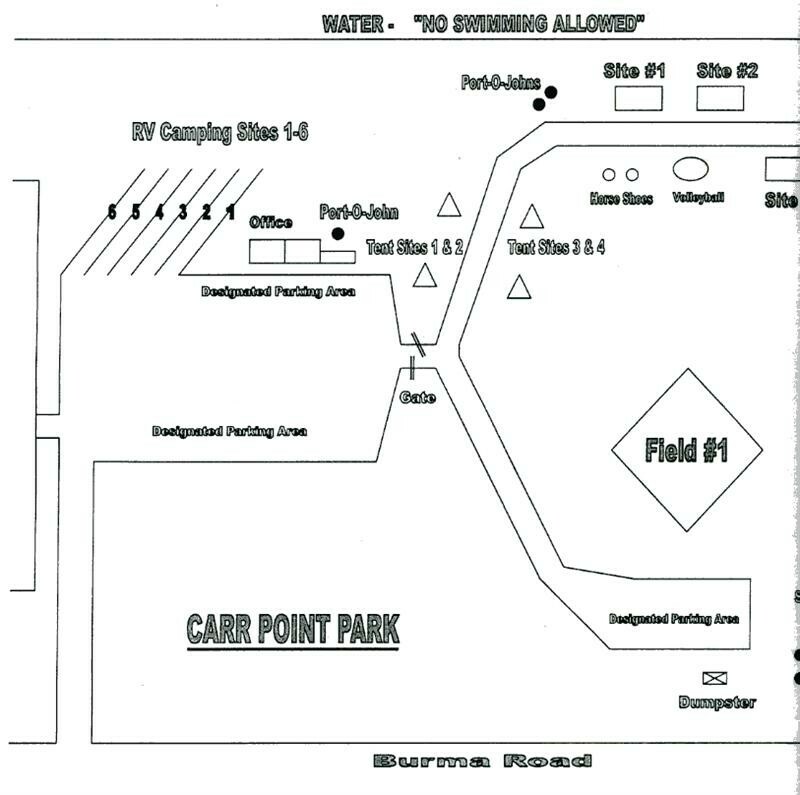 (1) They just added 4 dry camping sites, OK, but they marked the space between them with the 4' concrete parking lot bumpers and placed them about a foot off the road edge along with wooden posts with site numbers. 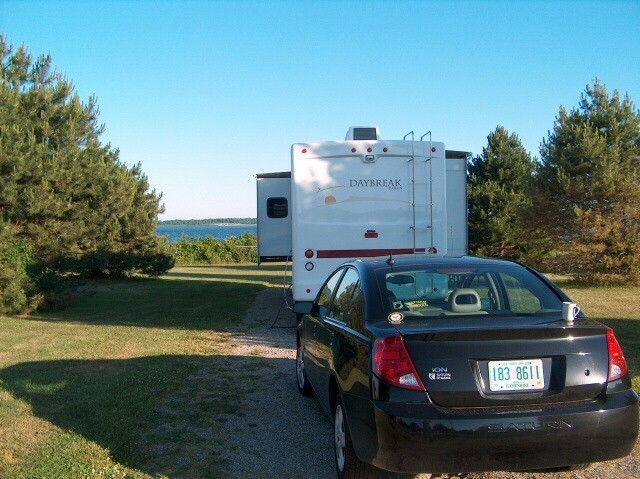 It adds some challenge to back out of sites # 4 & 5 without catching a hitch or the back of your RV on one of them. My neighbor took a ding out of his car hitch. (2) Is an issue at Melville Dump Station. It used to be a circular drive where you pulled in the the entrance, went halfway around, dumped and then pulled out and back on the road. Now there are new sites there and the dump station was relocated along the back fence. You have to do some jockeying around to get lined-up (dump on driver's side) and then unless you want to run 30+ ft of hose, you are nose in with a building/parking lot on your passenger side. There were cars in the lot when I was there and no way out except to backup first. I had to unhook my tow, do all that and then re-hook on your way out. If you can, delay hooking up your tow until after dumping and just do it once on the way out. If all else fails, you are pointed at the long-term area entrance so you could enter and go around the park to come back out. 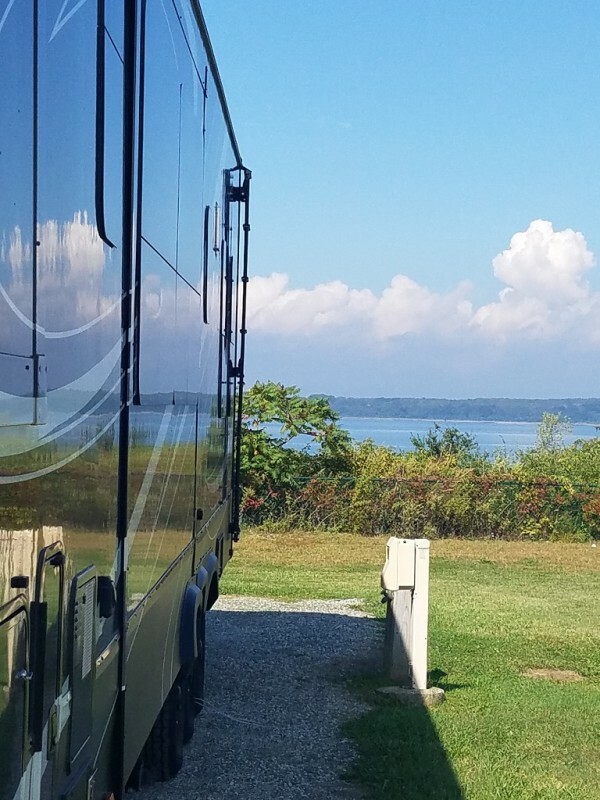 No amenities such as restrooms, showers, laundry or wifi, but the scenery is absolutely the greatest - right on the water. 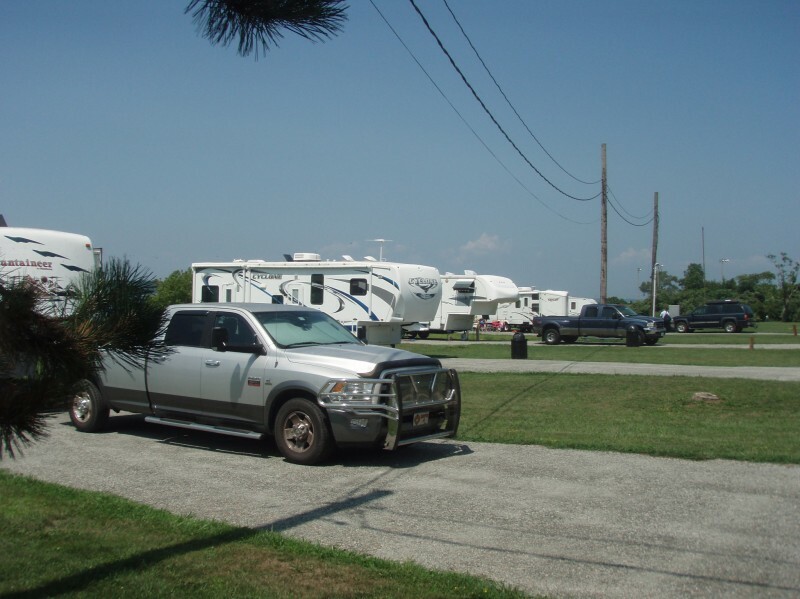 Well maintained, clean park, spacious sites, and such friendly staff! There were only two other campers there at the time. Nice place. For a good price, this is a nice spot to stay on Aquidneck Island and experience Newport. Sites are fairly level, trash at each site with electric and water hookup. 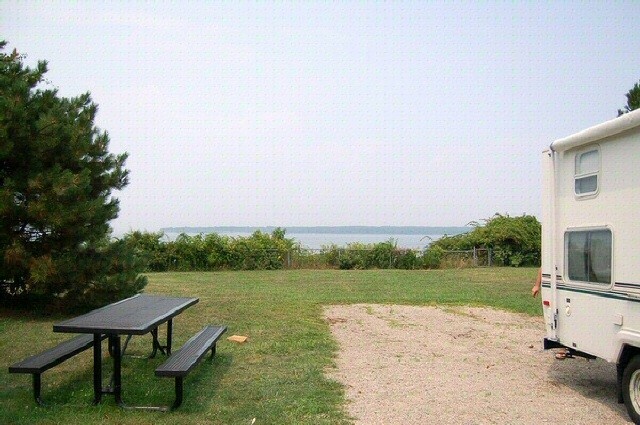 No trees, but open view to Narragansett Bay! Newport Dinner Train rolls by every so often. We were disappointed we couldn't have a little fire, but for the most part we spent our time outside of the facility. You must check in at the fitness center which is located about 10 min. away, on base. Six spots and for our weekend all spots were taken, but with a little planning ahead of time, and some flexibility you shouldn't have too many problems. If you need to dump your tanks you need to travel north about 8 min. to Melville Pond, $10 and off you go. 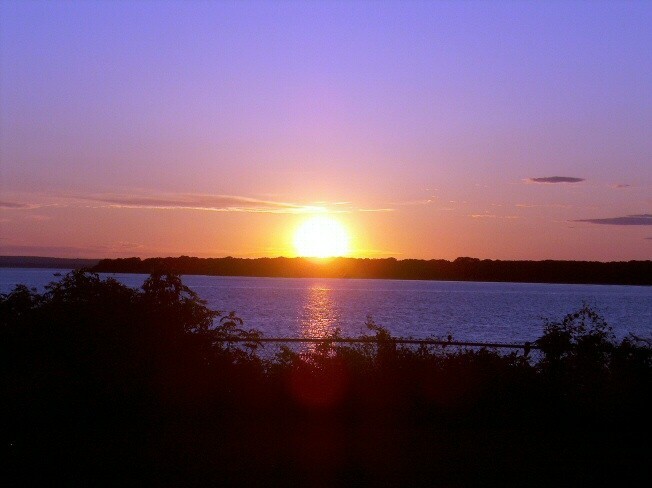 Great for the Price to see Newport Rhode Island mansions and beaches! Okay so the facilities are a little bare bones. W/E only. Gravel sites are fairly level with a nice table. That's about it but the VIEW! 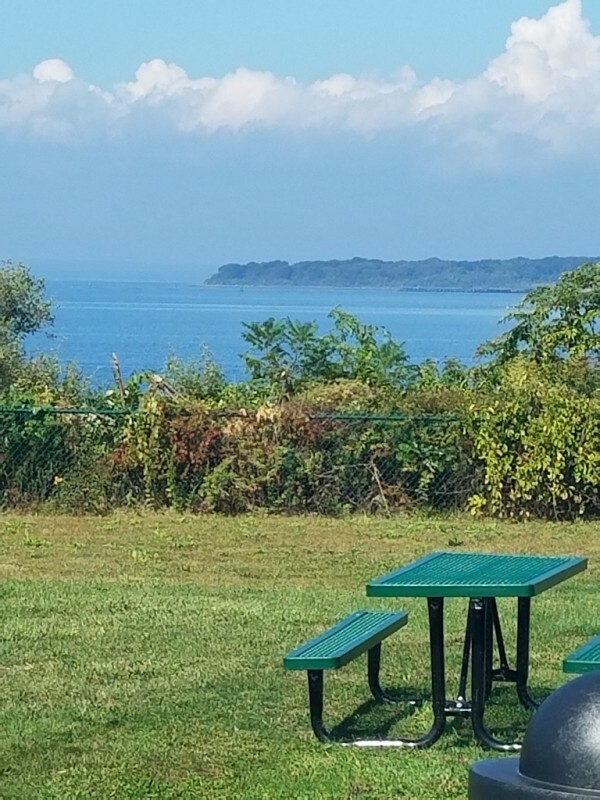 Okay the shrubs and trees obscure some of the view but still you have a water view for $20 bucks a night that the campsite 1 mile down the street that gets almost a 80 bucks a night for just grass/pastoral views. It was still relaxing just to sit with coffee in the morning and an adult beverage in the evening and watch the yachts, sailboats and shipping traffic go by.. Please note that this campsite is not on base and there is quite a bit of civilian traffic that comes to fish and get on the beach though it is posted no access. Still we felt very safe as the police come by several times a day. Yes it's hard to get reservations. There is only 6 spots and they are not thrilled with anyone dry camping. They do have the room for some but they don't allow it. We lucked out and got in because of a cancellation. I was persistent and called to check several times. Anothony had me fill out the reservation form for the days we wanted and we lucked into 5 nights. If MWR would Spend a bit of money and expand and upgrade a bit this could be a gem of a place. Really it already is just where it is located in a very expensive to stay area. The commissary was going through renovations while we were there. It is an average commissary. The exchange had great shopping especially for upscale beach wear and other items. The Officers club has lobster special on Thursdays. There is free internet and computer access at the Starbucks on base. I will be back as it is a beautiful area and an easy drive to other touristy locations. You can drive less than a hour and a half and stay at Hanscomb Fam Camp to continue touring New England. 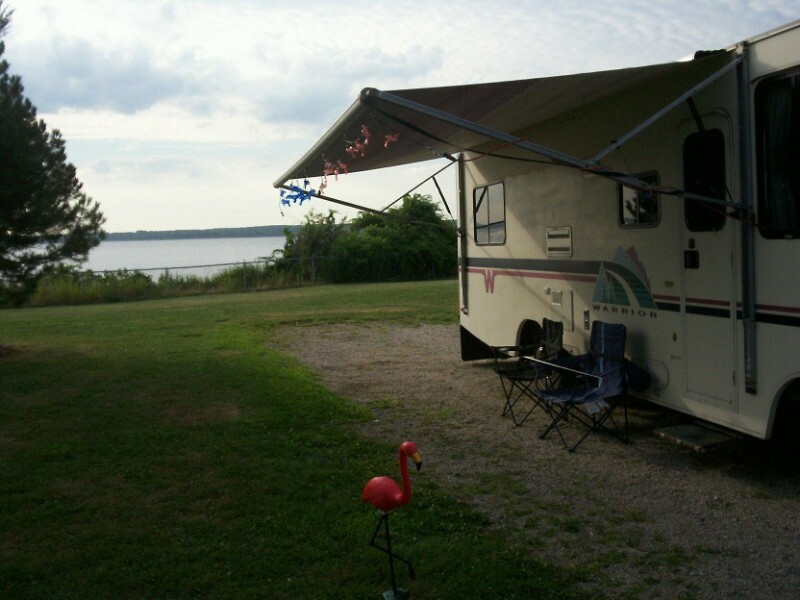 Please see my review on that campground for more info. Anthony at the gym is now in charge of Carr Point. Things seem a little more organized so maybe we'll see some improvements. It didn't appear that any maintenance had been done on the gravel pad areas since last year; thin to no gravel in places with weeds growing through. Grounds are kept mowed and trash is routinely picked up. 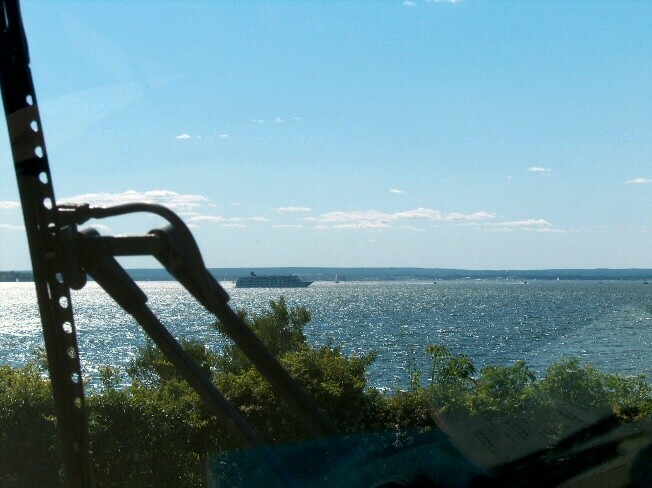 The bay view is good from the RV, but the shoreline tress/shrubs are starting to obscure it if you're sitting at the picnic table. If they had sewer this would be great. Police do make occasional cruise-bys into the park in the evening. Sites are gravel and sort of level with water & electric. 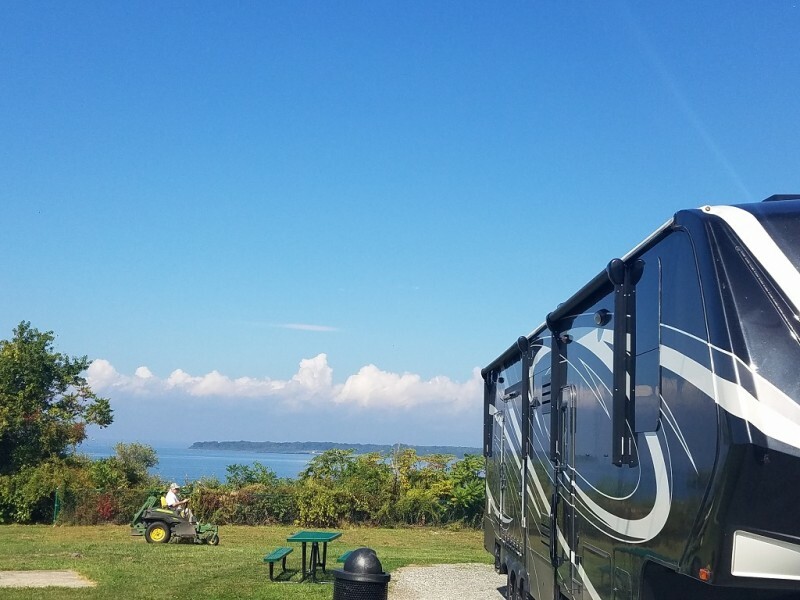 Sites are back-ins, but everyone pulls in, as hookups are on the drivers side if you pull in plus you get great views of the bay. An unusal, but welcome touch is individual trash cans on site that are regularly emptied. The CG is in a great location, being near Newport, but security is non-existant at the campground. It's a favorite spot for locals to come down and fish, evenings and weekends. The price is high since amenities consist of one portapotti that is changed once a week, but great compared to the couple of public CGs in the area. There are great facilities on the base. The back gate is about 3 miles down the road, but is only open during normal work hours M-F. Other times you have to go around the base to Gate 1. The dump station at Melville is easy to access. 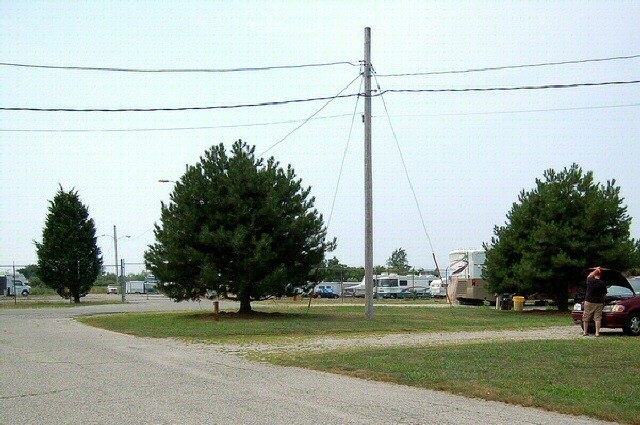 Stayed just one nights in site #5 in a 35' motor home: sites are "super wide" so no problems getting in & getting level. No problem making left from Stringham onto Burma (AKA "Defense Highway"), even with toad. Overall a good experience - special KUDOS to Ann who was very positive & helpful! 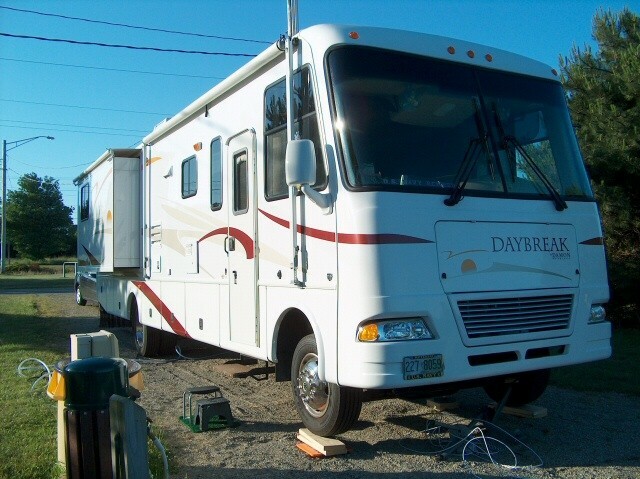 RV sites are just 1/2 from downtown Newport. Arrived on 05/18/2015 as the park was open a week earlier than normal and we were the only ones there. No sewer and had to go to a private campground to dump. Our dogs both picked up ticks the first day and they were no where near bushes or trees, just out on the freshly mowed grass. Will not go back just because of the ticks. Made reservations far in advance and assigned spot 5. CG has total of 6 sites of which 4 appeared to be taken by long term campers appeared to be active duty or active reserve. 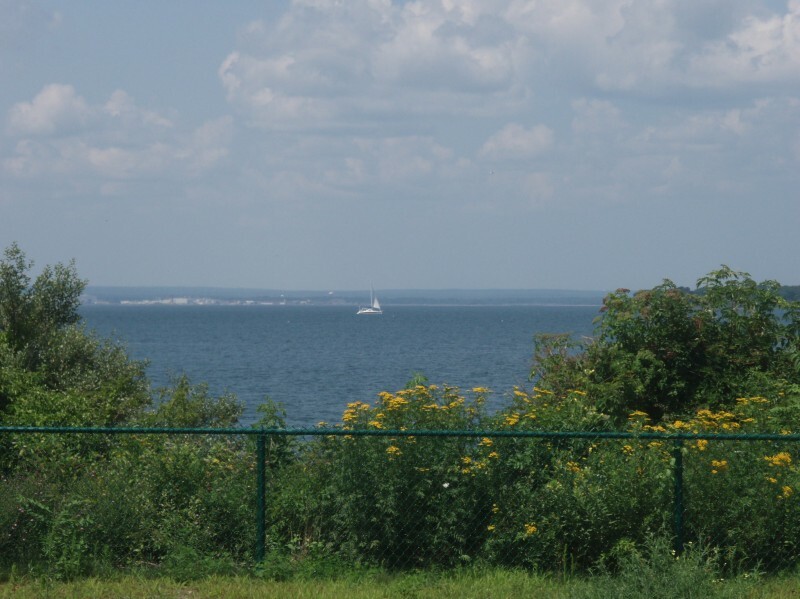 CG is located off base on the banks of Narragansett Bay. The sites are concrete, level, and have 30/50 amp service and water. There is no other services available at this CG. The 30 amp did not work on our site so used an adapter for the 50 amp plug. Water had a metal taste so did not hook it up. NEX shoppette is about a half mile away and it's just a short 15 minute drive to the nearest Wal-Mart. A short drive to historic Newport and the Breakers. With the lack of facilities $20 a night seem a little excessive but when compared to other camping options in the area it's a bargain. I would stay here again if in this area. We came in on a Tuesday without reservations as the office is only open Wed-Fri. There were four open sites but we dry camped in the parking lot in case there were late arrivals. Next morning, we called for a site but were told all were reserved. We left the coach parked while we visited Newport. Early afternoon we called again and were told there was one site available. We were scolded when we checked in and admitted we had dry camped the previous night. Not allowed! We got site #1 for one night, and still two sites were not occupied that night, three vacant when we left the next day. 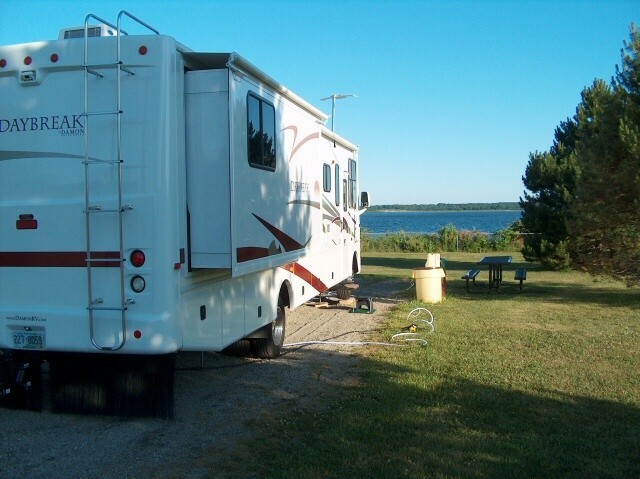 We love the area and Carr Point is a great place to stay. Beautiful views and convenient location. We stayed in our 30 ft motorhome for 3 nights. I called the day before arrival to see if we could get in a day early and no problem. As we turned off the Highway - Keith from MWR saw us, flagged us down, signed the paperwork and we were off to our site. He was right behind us to make sure our garbage was empty and we were had everything we needed. The sites are very long and our site #1 level. The view of the water and sunset great. 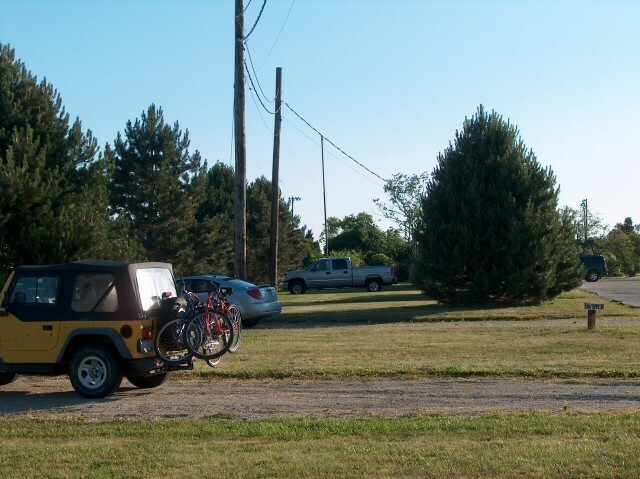 There are no amenities at this park but a short drive to gate 17 (the back gate open M-F) and you are on base. Also a short drive into Newport. 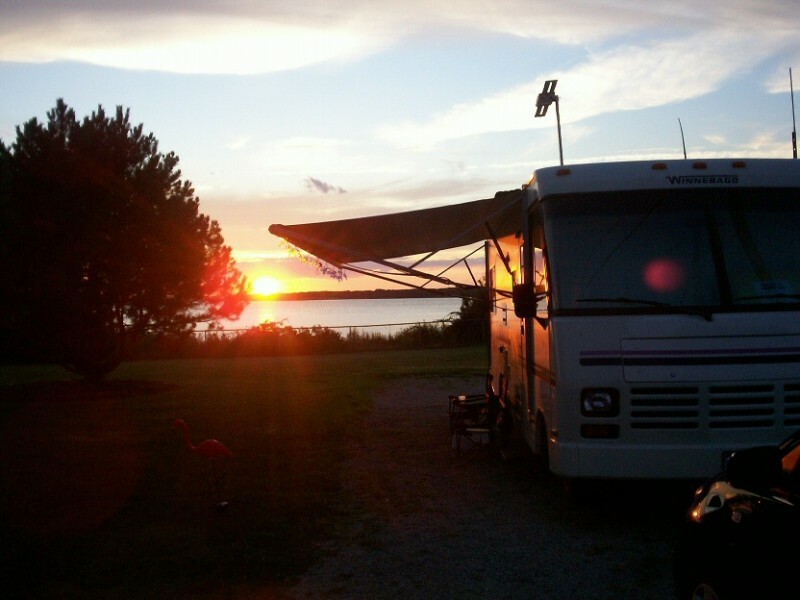 This was a good experience for us and would recommend the campground for anyone. This was our first visit and will probably return. Good location for touring area. 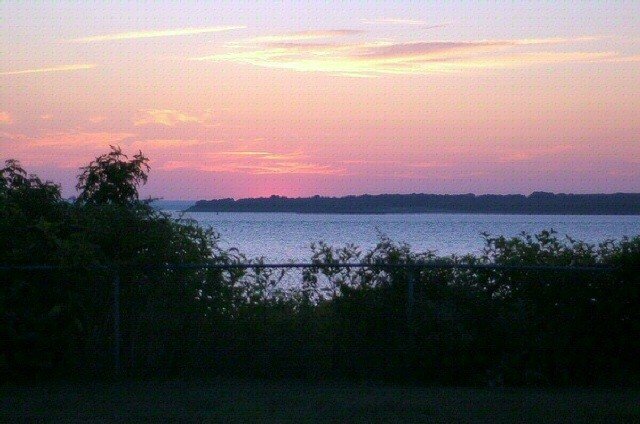 Nice view of Narragansett Bay..quiet. Easy access to base except gate 17 closed on weekends. Must use main gate. Had a tick problem. Guess they can't spray. Would be nice if they could at least install dump station and maybe bathhouse. Used laundromat on hwy next to Buddy's hardware south of Green road. Appears they could add more sites. Great park even though only water and electric. 50 amp available and only 6 sites. Terrific view of bay. Only suggestion is to not use the directions going down Stringham Rd, use Green Rd instead since greater than 90 degree turns are not recommended for 5th wheels. Naval base close with commissary, exchange, gas station with no diesel and WiFi at the cafe. Not much has changed from past comments here. There are long gravel sites. NO bath or laundry rooms. Off base about 2 miles, the NEX is down the road about 1 miles. The sharp turn off or onto Stringham Road is bad, better to go down RT 114 to Green Ln and turn there. 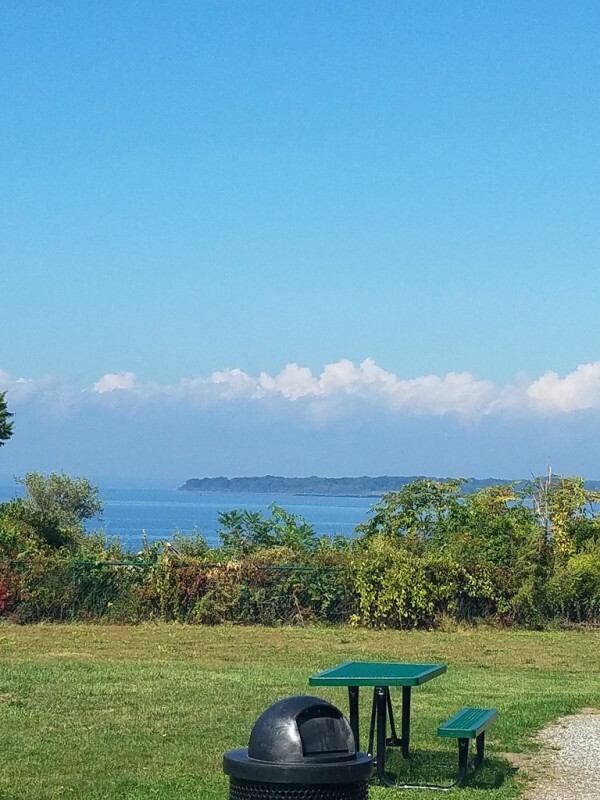 Great location to see Newport and lower RI. Great campground. 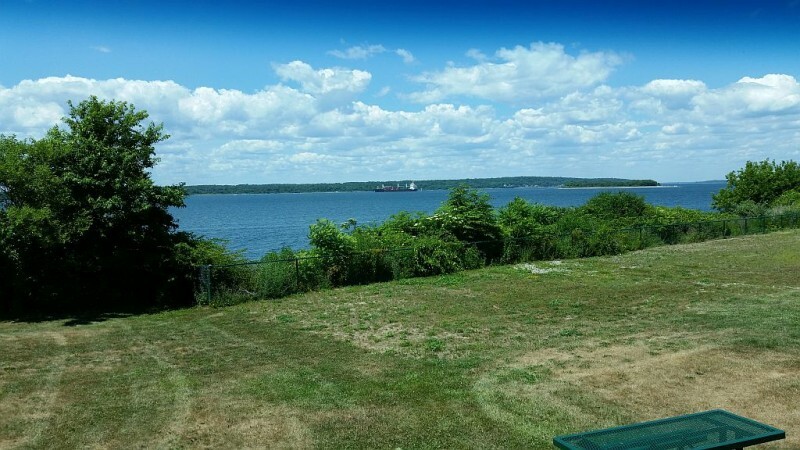 All sites are on the water with excellent views of the bay. MWR staff was outstanding. No dump station but heard they may add one by next year. Currently have to use the dump at Melville Ponds Campground about 2 miles away. We will definitely visit Carr Point in the future. Just stayed one night. 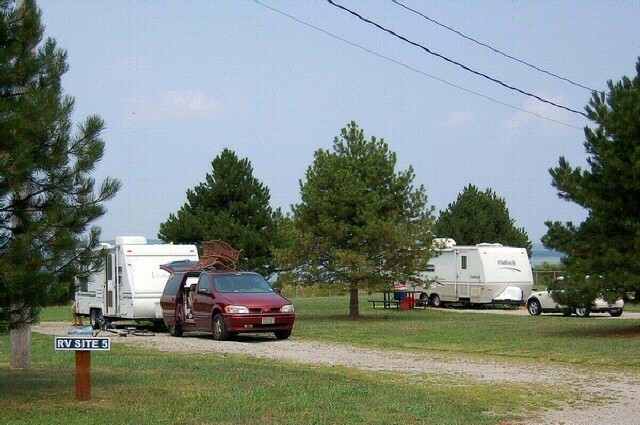 Very clean, nice little campground. Without sewer, it would not be a great place to stay very long. On site office closed and looked like it had been for a long time. No one around. Made reservation on phone, so no need to check in. I think it could be a nice campground for someone just doing the tourist thing in the area, but it is a little out of the way for a one night stop like I did. I think $20 was a little high for what the campground offers, but again, location. The trains did run, but not late and not that noisy. Great view, very relaxing. Weather was excellent. On-site office CLOSED. Check-in package delivered because we made reservations while traveling. Not normally suggested because of limited sites. Drive to Historic Newport very easy. Wickford also easy to get to and a must to visit by car. CG only dislike was no sewer hookup or convienant dump station. We only stayed 3 days so dumped at next RV park.